I was recently scrolling through my bloglovin feed when I stumbled upon a blog by Kate Spitz called "Four or More". Now first and foremost, if you don't read Kate's blog, you need to go check it out right now! I absolutely love reading her reviews. 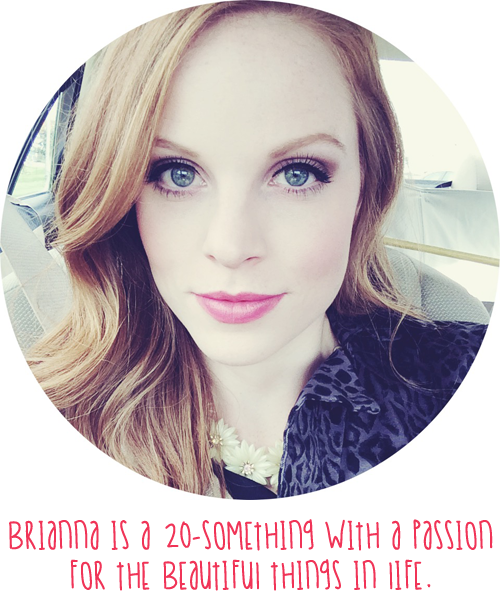 Her blog is a treasure trove of beauty goodness! So her post, "Four or More" is all about the products you own four or more of. Why? Because if you own that many it must mean you love them - which I totally agree with! I knew I had some items in my own collection that I certainly had four or more of and I thought I'd share my picks with you today! Maybelline Color Tattoos - It's no secret these cream eyeshadows hold a special place in my makeup-loving heart. Maybelline Color Tattoos come in a wide variety of shades, they retail under $10 and they're the best thing to happen to drugstore makeup in a LONG time (if I do say so myself). I use the Color Tattoos both alone and as a base for other shadows, as the wear time is crazy good. I couldn't recommend these more! Britney Spears Perfume - Long have I been a fan of Britney's perfumes. I know so many people love to hate on celebrity fragrances, but these are no joke! The wear time is impressive, and there's a scent for everyone - from sugary sweet to deep and feminine. My current collection holds the classic Curious fragrance, Midnight Fantasy, Circus Fantasy, Hidden Fantasy and Believe. Revlon Just Bitten Kissable Balm Stains - Okay, I realize one of these is not the stain version, but really, I just enjoy these lip crayons by Revlon. The formulation is really nice, and the staying power of the stain crayons is just insanity. They're under $10 and the range of shades offers something for everyone. I've loved every one I've tried, and I'm certain my collection will grow to much more than 4 in the future! Zoya Nailpolish - Zoya is, hands down, my favorite nail polish company. They're 3-free (a.k.a. free of bad stuff!) and they always seem to make shades that I can't resist! I've got far more than 4 of their polishes, and my collection is always growing because they release the best collections ever. You can pick them up in select Ulta stores, or online at zoya.com (which is where I get most of mine). You can tell just from the picture above that the color selection is all across the board. Go get you some! I'd love to know what you have 4 or more of in your beauty collection! It's always interesting to see what others are loving - keep me posted in the comments below! What a fantastic idea 4 or more is!!! I need to try out Miss Spears scents now after reading this! And I totally agree on the Maybelline Color Tattoos. I would add L'Oreal Infallible lip glosses and Buxom lip glosses to this list, plus all of the Urban Decay 24/7 eyeliners - they're the bomb!!! Yes, her perfumes are wonderful! I also love Buxom lip glosses as well! Great picks! You are such a dear for mentioning my blog! I am really loving your maybelline tattoo and revlon balm stain collection! I have been digging through my stores and I think I may have enough for another four or more post! Of course - I love your blog! :) I hope you DO do another post! Definitely - they are amazing lippies to find in the drugstore! I haven't yet tried any of the Lustrous ones, but I definitely need to! the maybelline color tattoos are amazing! though, I wish they would make more of their neutral shadows permanent! I couldn't agree more! One of their LE neutral shadows is my favorite base! Sad that I may not be able to get it again once I run out.